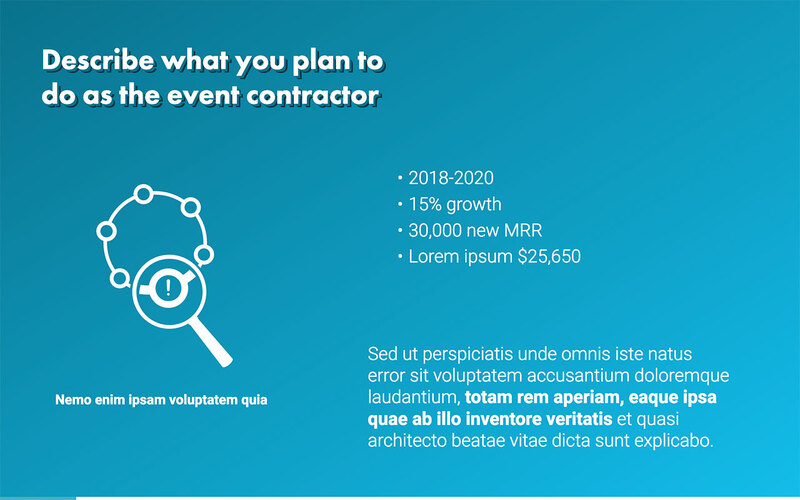 You need a strong plan of action when you approach a company in the hopes of working as a contractor at an upcoming event. 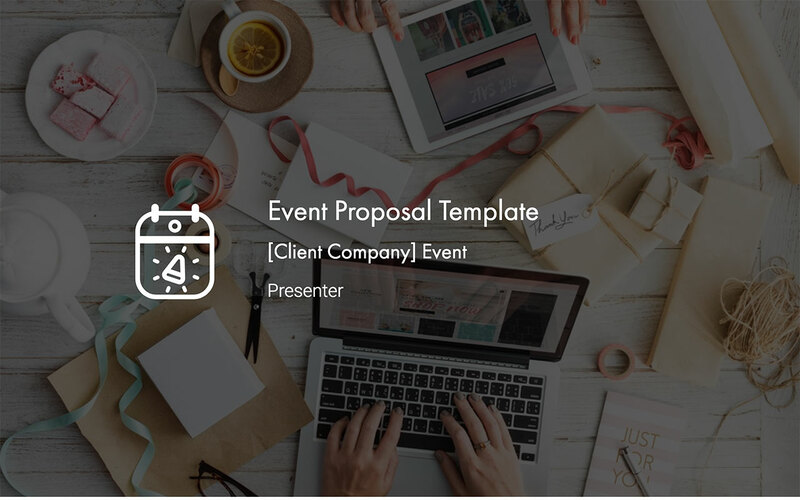 An event proposal template gives you direction by breaking down a large task into small goals. When you provide a company with actionable steps, those in charge of hiring contractors have more confidence in you. 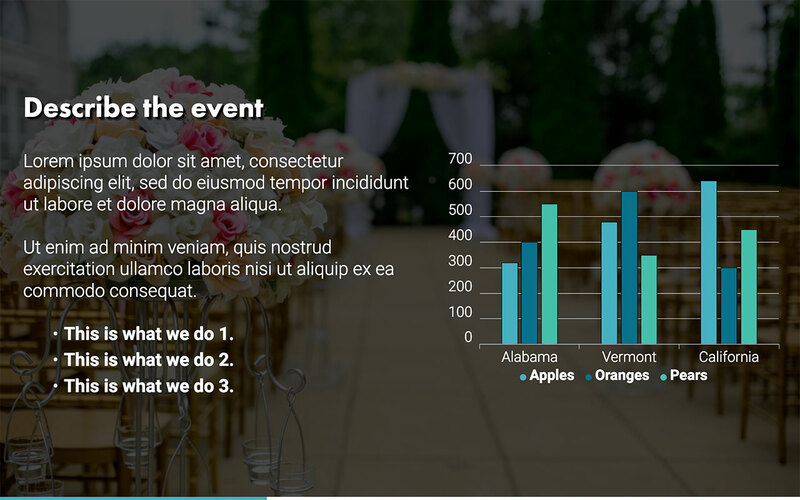 We recommend using an event proposal template to create a visual representation of your plan. 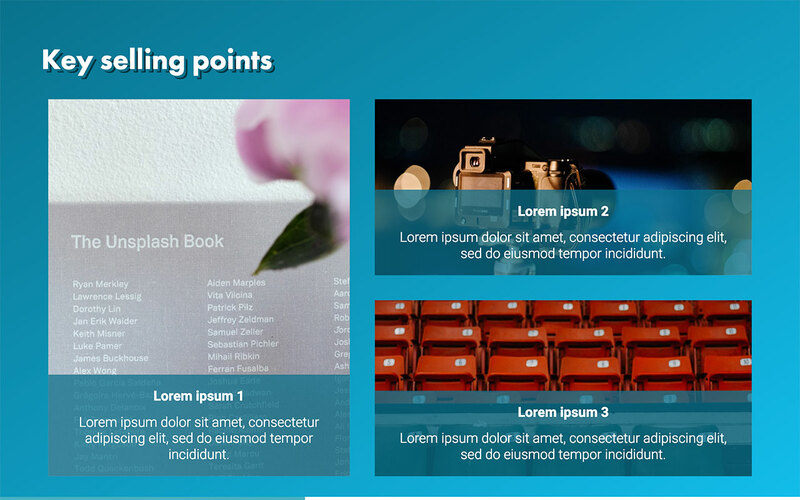 Are you ready to explore our event proposal template slides? Let's take an in-depth look at each one. 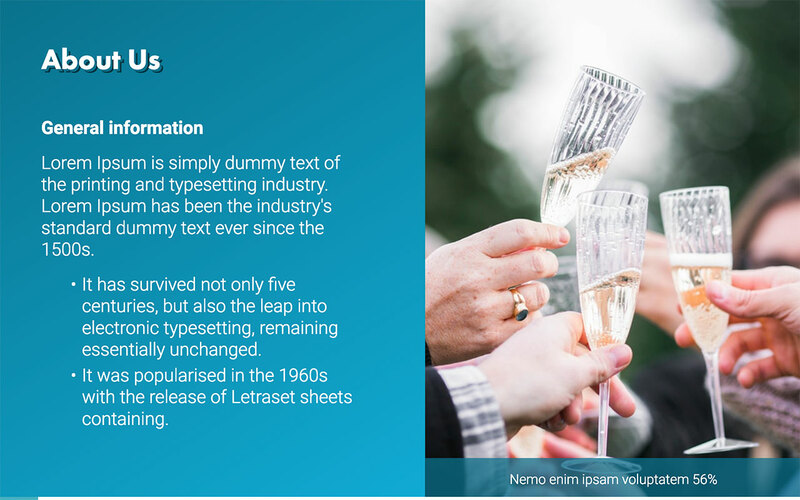 You don't need to include much information on your title page. 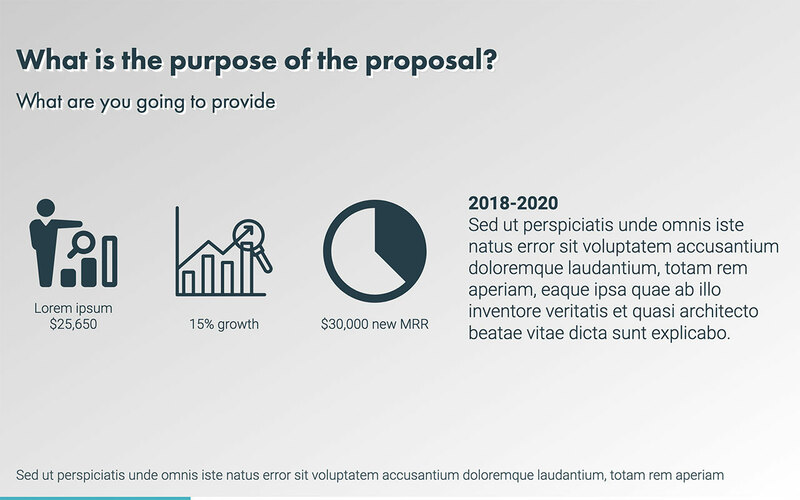 You can give your proposal a quippy name and tell your audience who you are. New clients want to know how well you performed at previous events. A stellar quote from a previous client about your participation in a previous event is a great opener. We know you want to get to the fun parts first, but a professional event proposal should start with the fine print. Discuss the contract, including any terms and conditions. 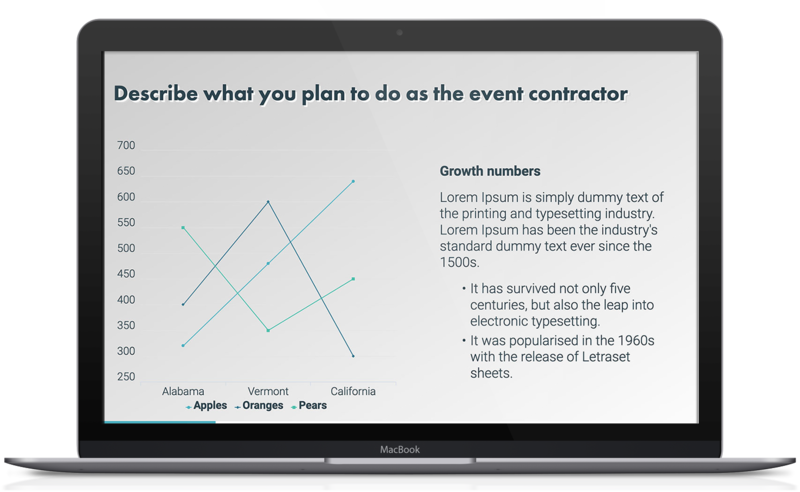 Your slide should give an overview of your duties, pricing, and cancellation details. 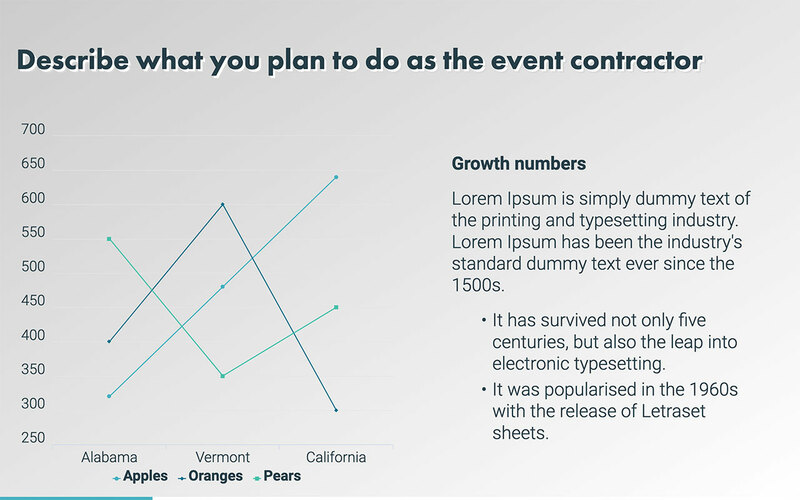 On this slide, we make it easy to tell your audience members what the event is going to cost. Leave no confusion here about the pricing, whether the event follows through or if the company must cancel your services. 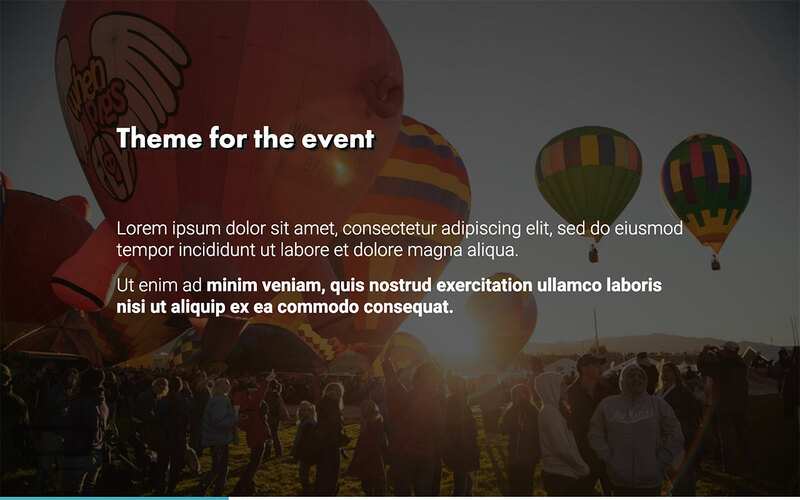 As part of your proposal, you should clearly list the parts of the event you are responsible for. Be clear in discussing your priorities as a contractor for the event from pre-event stages to the clean up afterward. 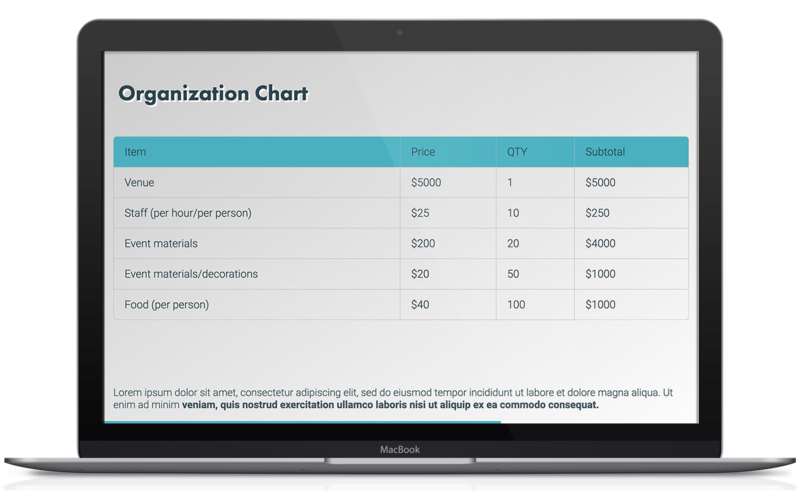 Your pricing chart should provide details about the costs associated with each component of your service. For instance, you may need to list the costs associated with a venue, tables, and chairs, food, or decorations. Specific information compels your audience. Every event has a budget, and contractors have to micro-manage the components they are in charge of. Tell your audience what kind of budget you are looking at, using specifics whenever possible. 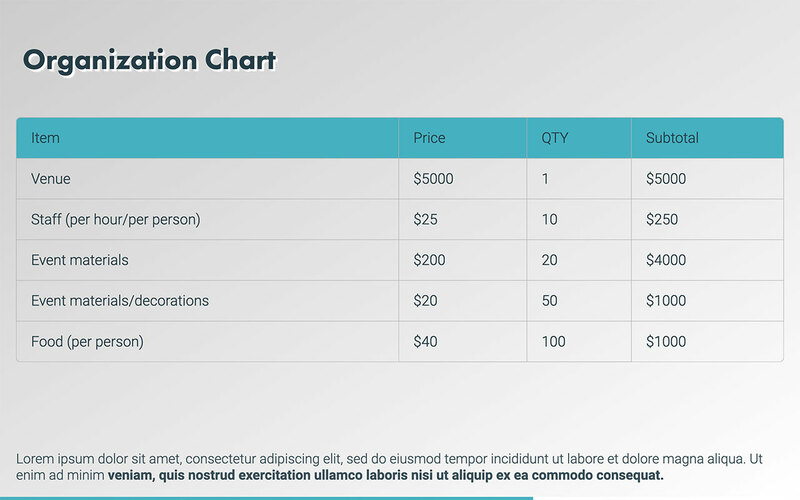 This chart provides you with the space you need to provide additional information about pricing, timelines, and materials you need to complete the job. The schedule provides your audience with peace of mind about your priorities. When the company understands your timetable, you appear more trustworthy and credible. 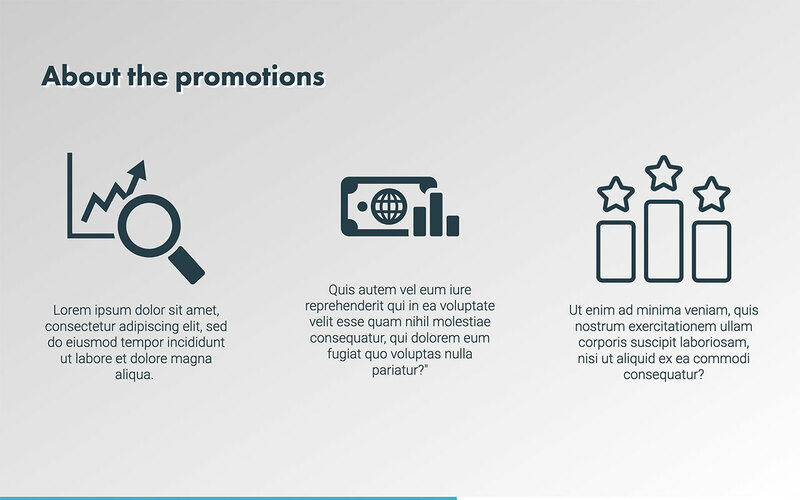 Promotion is a significant component of commercial events. 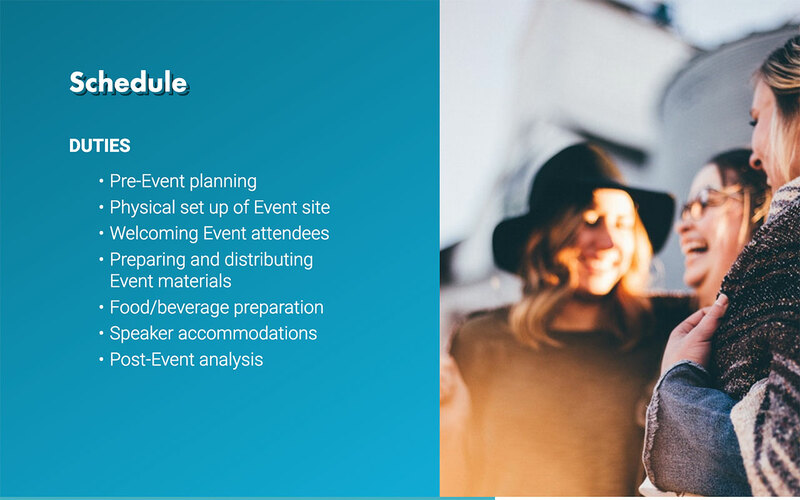 Detail the role you intend to play in promoting the event or expectations you have for the company to promote your services as part of the event. If any other events are part of your contract, you should address your intentions on this slide. Paint a picture of the experience you intend to provide for event-goers. How are you going to provide each attendee with great service? Tents, buildings, and outdoor areas are often part of major events. 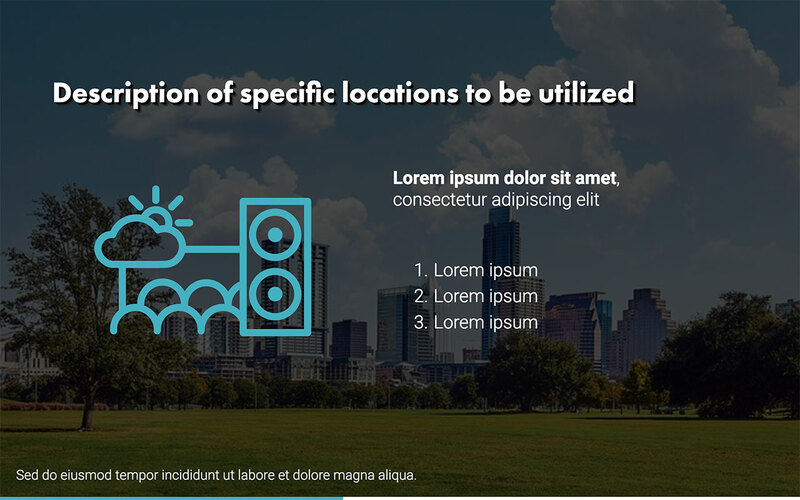 How does your company use these locations effectively? Why are these locations the best places for these events? 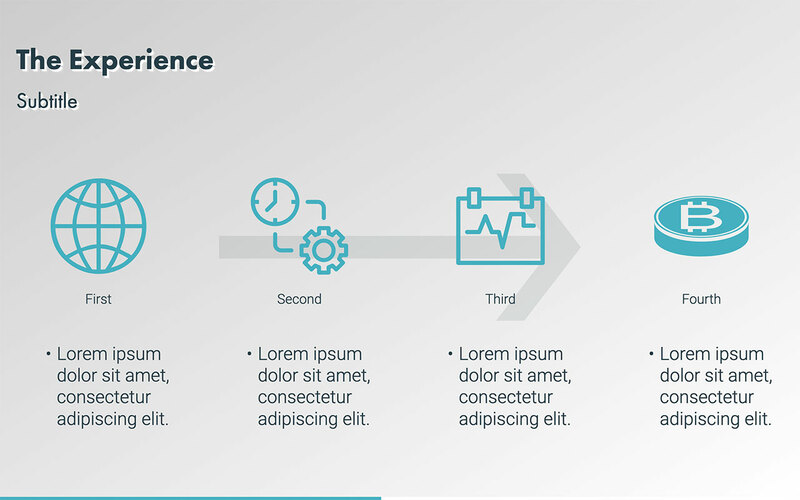 Speak to the needs of your clients on this slide. What do you have to offer that others do not? This is the slide where you sell your services as the best available. 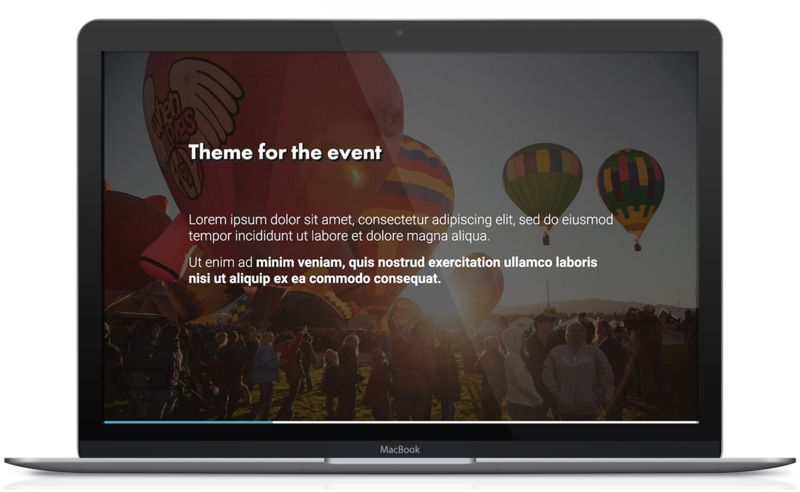 If you are proposing the entire event to the company, provide as much information as possible about the details. Tell the company why they need to hold this event in the first place. The event should have a theme that appeals to attendees but also fits with the ideas of the company at large. Tell the company what you are going to provide. Essentially, you need to tell your audience why you are here and why you are worth their time. 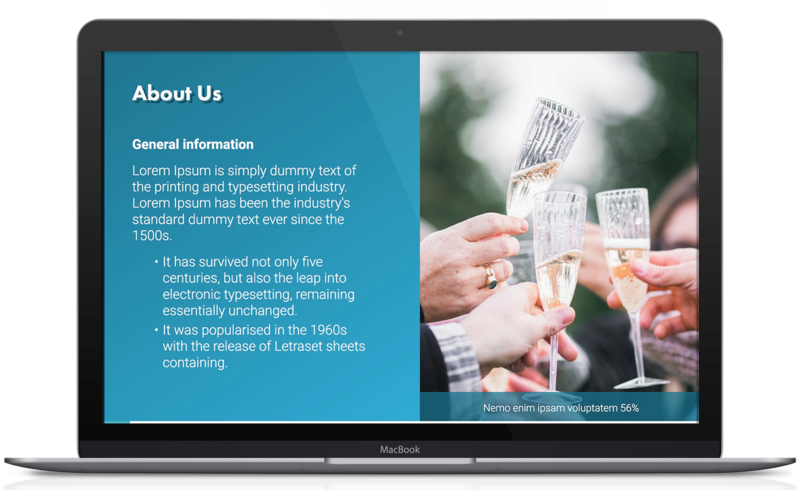 The executive summary provides a strong overview of the entire event. Describe your offerings and sell the price point again. 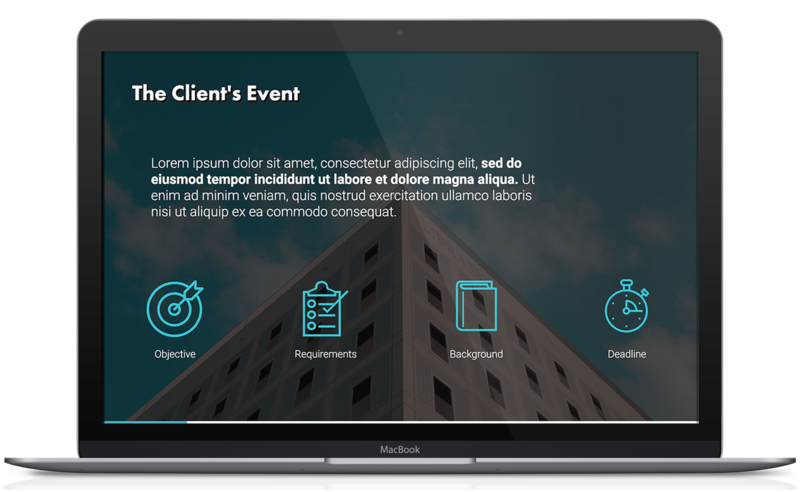 The client needs to know that you care about their event. 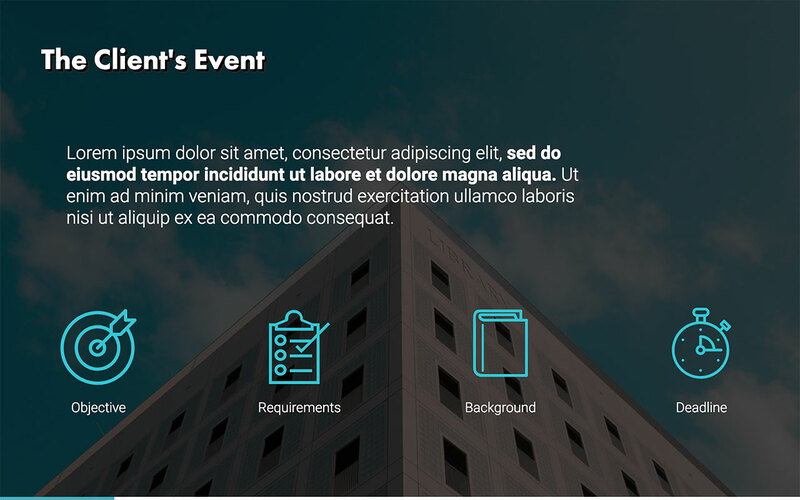 Why does the event matter to your company or to you on a personal level? Again, you need to sell your services. What makes you an excellent contractor rather than another face in the crowd? Finally, tell the company who you are. This slide tells the company why you are the best choice to work on this project compared to your competitors.